Twin room on the ground floor with en-suite shower. Ideal for those who have difficulty in climbing the stairs. 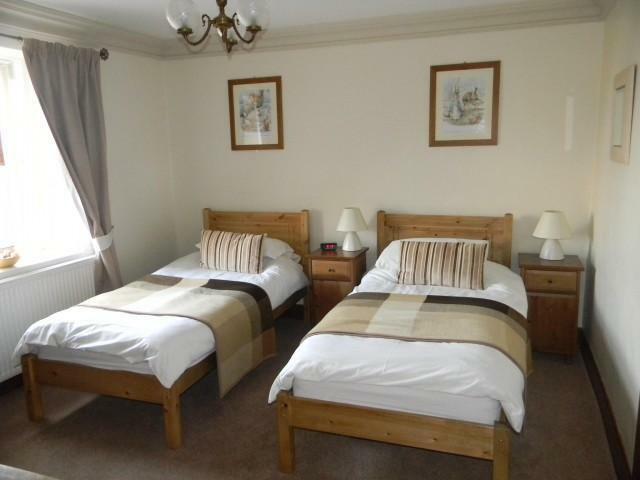 Double room with king size bed on the first floor with en-suite shower, with great views over Lochryan..
Family room on the top floor with 1 King size bed and 1 single bed and en-suite shower. This room has great views over Lochryan and has a ceiling height of 6ft. Twin room on the ground floor with en-suite shower. Ideal for those who have difficulty climbing the stairs. Large Super-king bed with en-suite shower. This room has great views over Lochryan. Family room on the top floor with one King size bed and I single bed. With views over Lochryan. This room has a maximum ceiling height of 6ft. 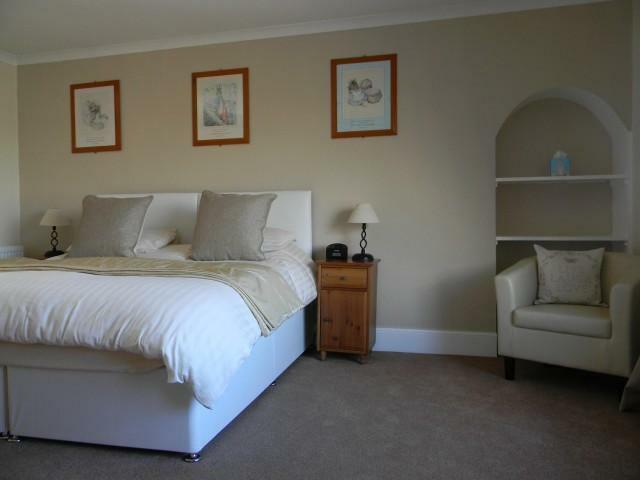 Family room on the top floor with 1 King size bed and 1 single bed and en-suite shower. The room has great views over lochryan but has a ceiling height of 6ft. 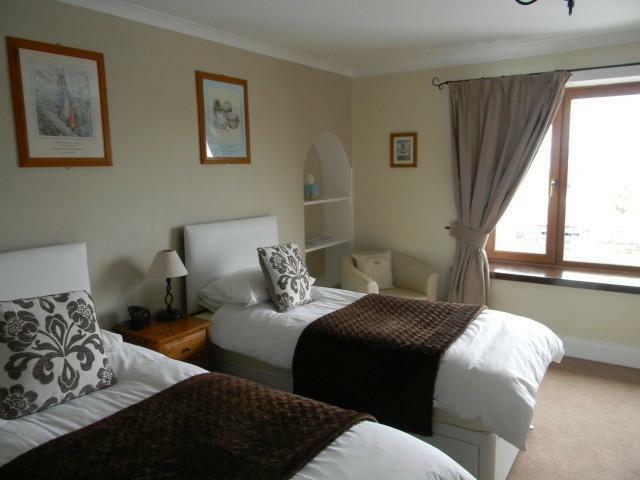 family room on the top floor with 1 King size bed and 1 single bed with en-suite shower. The room has great vews over Lochryan. It has a maximun ceiling height of 6ft.